With Readly you can read Samsung Galaxy For Beginners and thousands of other magazines on your tablet and smartphone. Get access to all with just one subscription. New releases and back issues – all included. 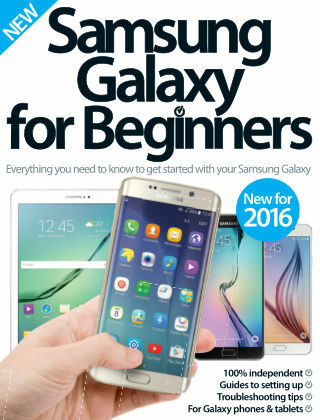 This new edition of Samsung Galaxy for Beginners takes you through everything you need to know to get you started with your device, be it a phone, a tablet or anything in between! Connect with your friends, customise your phone and keep up with all the latest apps!